Do you sometimes feel like you are so far behind you will never catch up? Time management skills can help you keep up with your to-do list. But if you are not blessed with a natural knack for time management, The Mayo Clinic has some ways to help you develop one. They suggest following one of these tips for a couple of weeks, then adding more if you need them. Prioritize. This helps ensure that you spend your time on the things that are most important, rather than on a lot of lesser things that can take up all your energy. Learn to say no. When someone asks you to do something, look at what you already are committed to doing. If you don’t have the time for the additional work, say no. Learn to delegate. Look at your to-do list, and see if there are things that you can ask someone else to do. Do things right the first time. Take the time to do a good job rather than rushing through it, because it takes more time to make corrections than to do it right once. Break things down. When you have a big job, break it down into smaller tasks. This helps you to organize the job, and it gives you more positive reinforcement as you complete each of the tasks – and cross if off your to-do list. Try for 10 minutes. If there is something you really dread doing, work at it really hard for 10 minutes. You might even find that you make so much progress that you decide to go ahead and finish it up. Keep a time diary. Write down everything you do for three days, then look for ways to use your time more wisely. Limit distractions. Don’t constantly check your email, and let the answering machine get the phone. Focus on the task at hand, and you will be able to work more efficiently. Be healthy. Get plenty of sleep, eat a healthy diet and exercise regularly. Take a class. 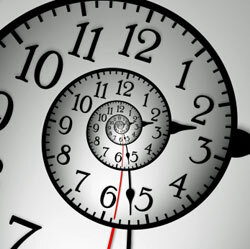 See if your local community center or college offers a course in time management. Give yourself a break. Get outside for a walk, take a bath or take a vacation. You need to recharge your batteries.